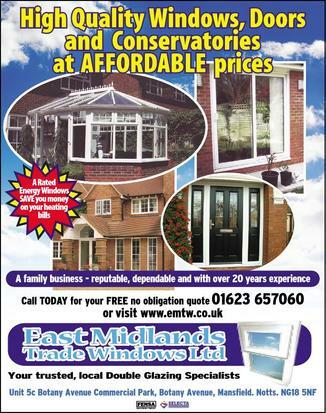 Looking to install double glazing in Mansfield, Nottingham or beyond? Looking for a reputable, dependable company with over 20 years of experience in the industry? 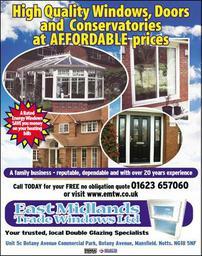 Then call East Midlands Trade Windows Ltd today for a truly world-class double glazing service. We are a family run business who provide and manufacture doors, windows and conservatories for clients all across Nottinghamshire and we accept work from private and business interest.